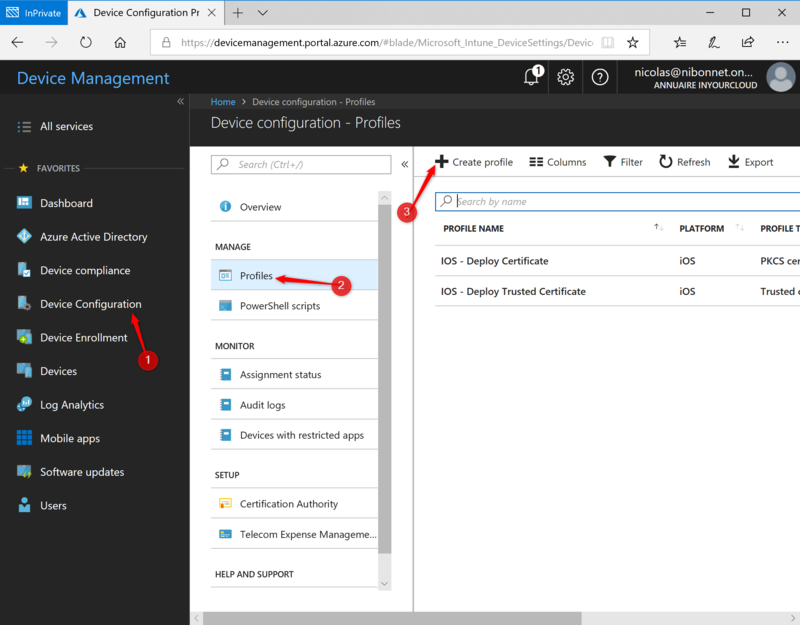 From the Intune portal, select Device configuration and click Profiles. In the central panel click Create Profile. Enter the desired name and from the platform drop-down list select Android Enterprise. 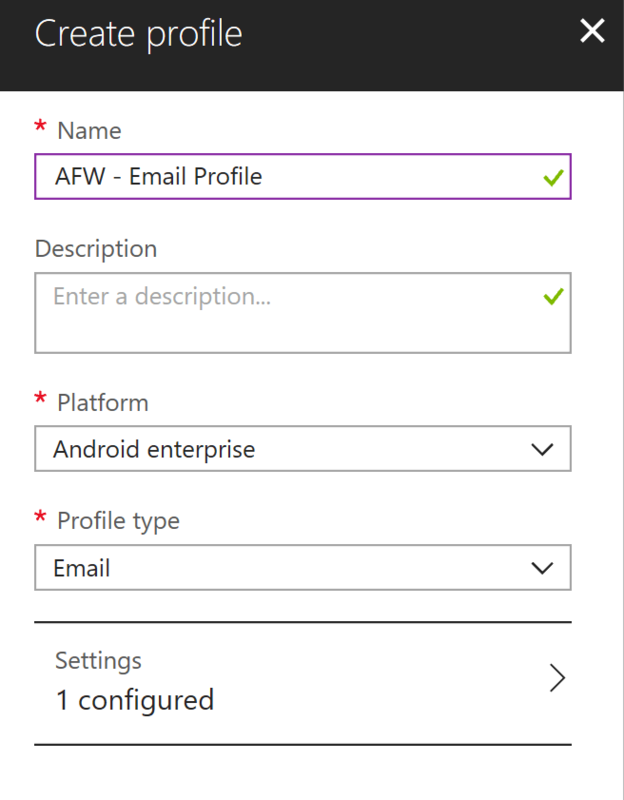 Select Email in Profile type. 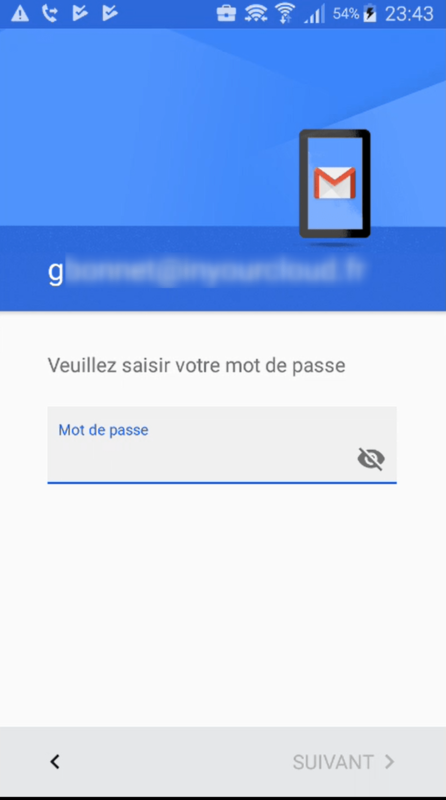 Select Gmail from the App Email drop-down list. Thereafter, several options are available. Enter the SMTP server address (example : smtp.office365.com for Office 365). 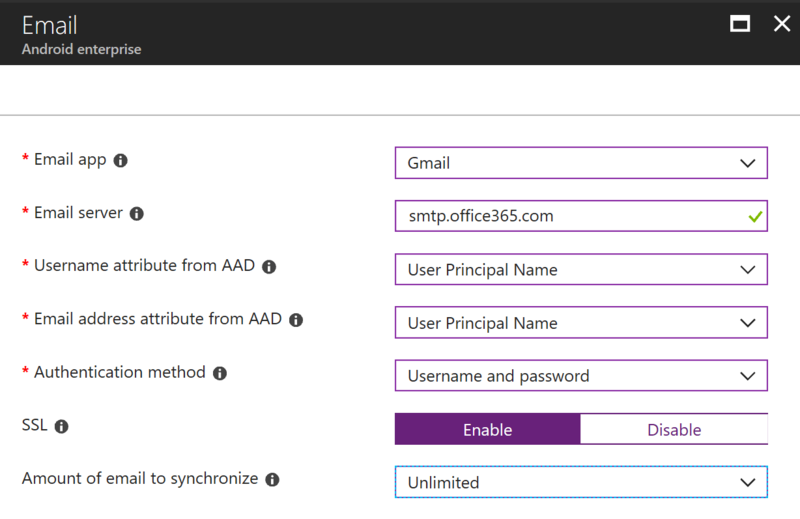 Select the attribute to use for Username attribute from AAD and Email address attribute from AAD. Next you can choose between Username and password or certificate for the Authentification method. 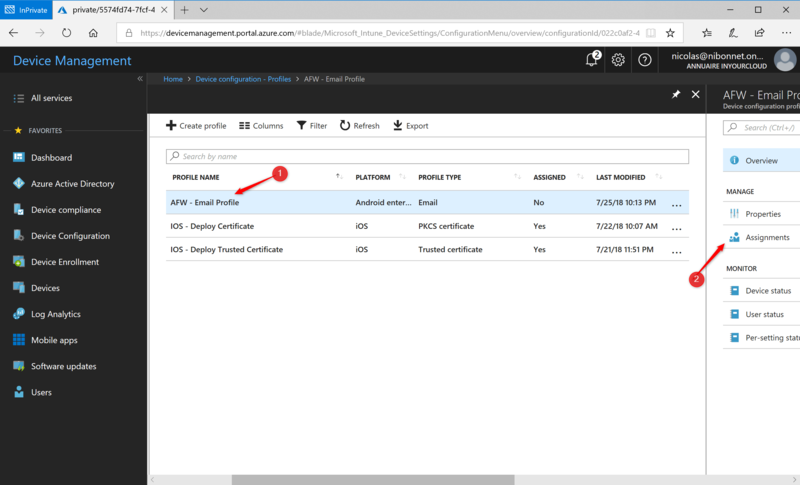 If you deploy Office 365 profile you must enabled SSL, for the other email profile you need to verify if ssl is needed. To finish, you can choose the amount of email to synchronize. Click OK and Create, the profile is now correctly created. 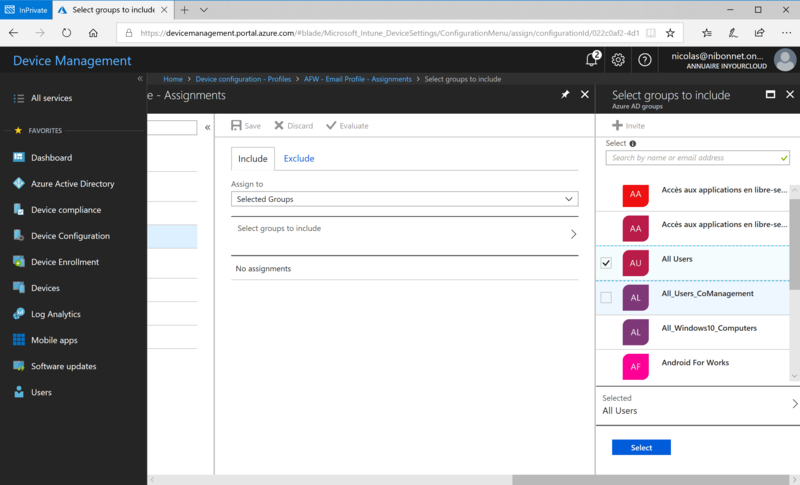 Deployment can now be performed on a group. Click on the profile then click on Assignments. Click Select groups to include and select the desired group. Click Select and Save. 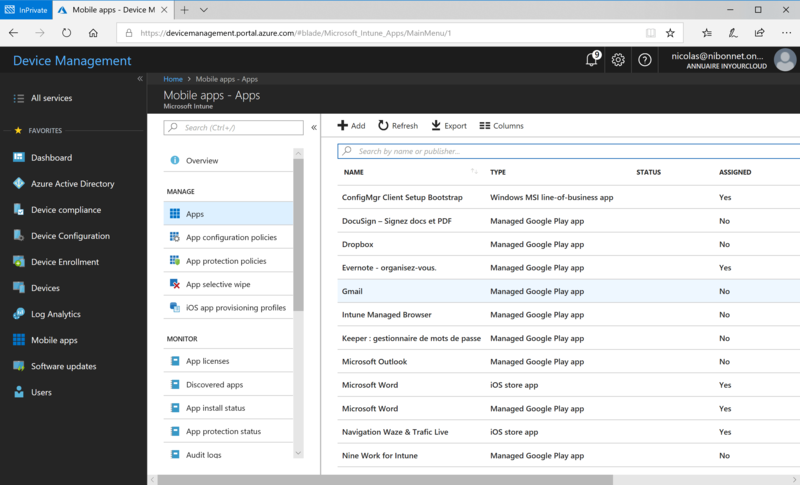 In the Azure portal, click Mobile apps then Manage Google Play. 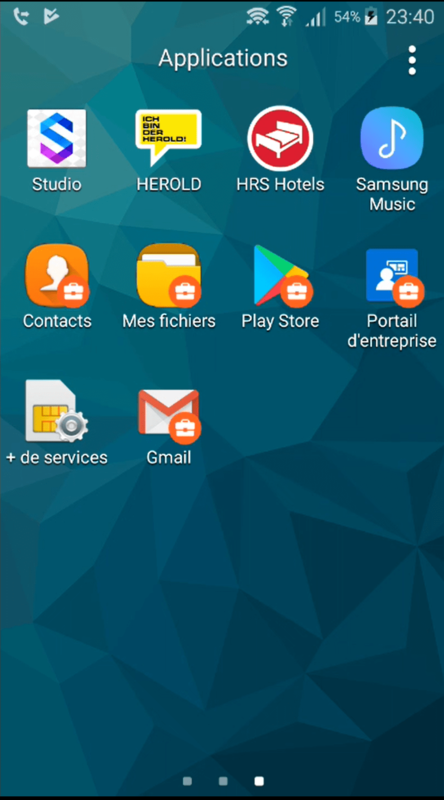 In the center panel, click Open the managed Google Play Store. 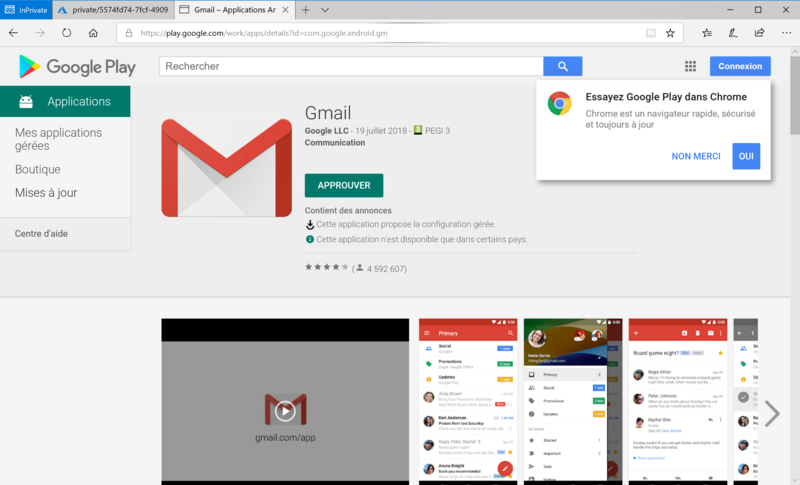 Search for the Gmail application and click Approve. 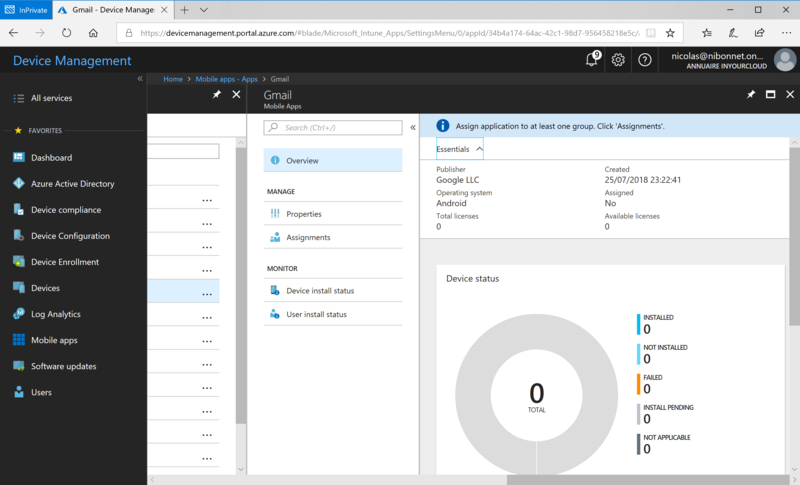 In the portal Azure, click Sync. 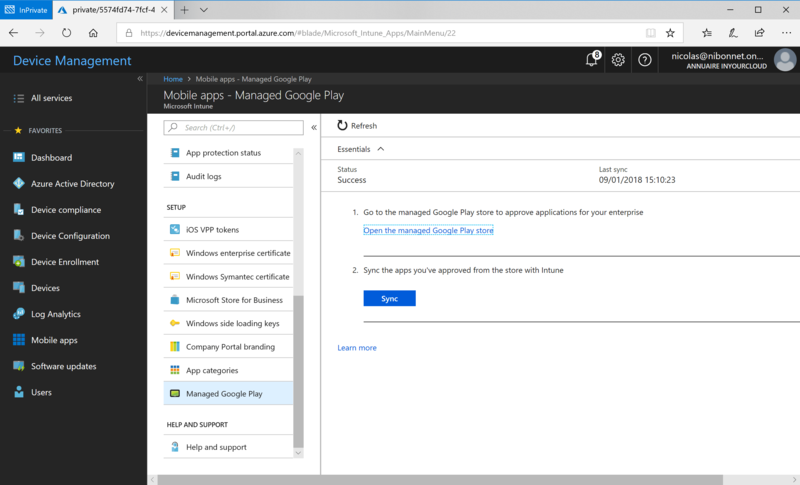 The application is now present in intune. Click on the Gmail application then on Assignments. Click on Add Group then from the Assignment Type drop-down list, select Required. 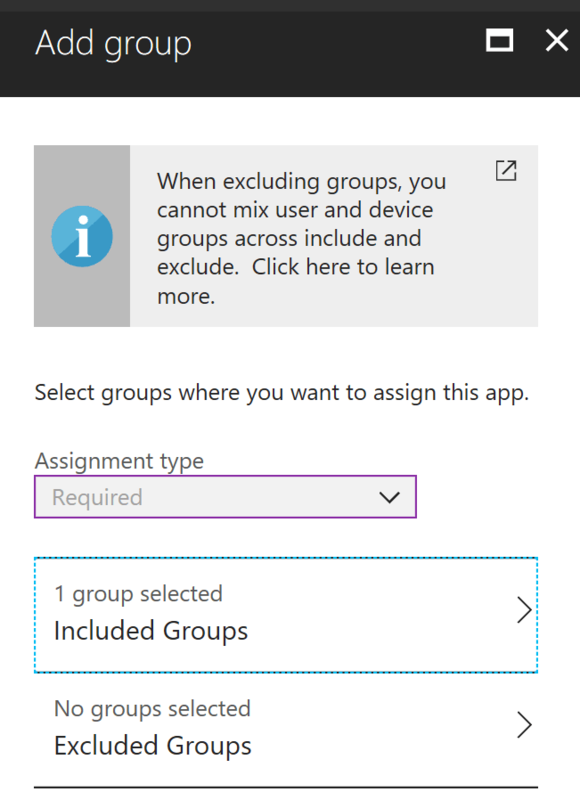 Select the desired group. Click on OK and Save. After forcing synchronization, Gmail is installed. The email profile is well added in the application. The first time you log in, you must enter the password.